Smittybilt 1/2" D-Ring Shackle Shackle/D Ring 1/2 in. 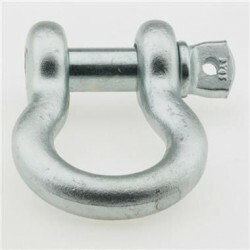 Retainer Pin Zink Coated Heavy-Duty zinc-coated cast steel construction, 1/2 pin for heavy-duty use. 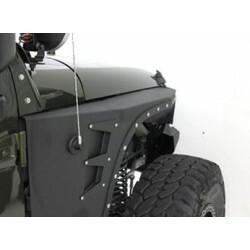 Perfect for use with Smittybilt SRC bumpers. 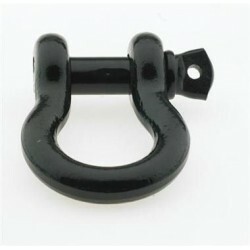 ..
Smittybilt 1/2" D-Ring Shackle - Black Shackle/D Ring 1/2 in. Retainer Pin Black Coated Heavy-Dutyblack-coated cast steel construction, 1/2 pin for heavy-duty use. Perfect for use with Smittybilt SRC bumpers. ..
Smittybilt 3/4" D-Ring Shackle Shackle/D Ring 7/8 in. Retainer Pin Zinc Coated Heavy-Duty zinc-coated cast steel construction, 7/8" pin for heavy-duty use. Perfect for use with Smittybilt SRC bumpers. ..
Smittybilt 3/4" D-Ring Shackle - Black Shackle/D Ring 7/8 in. 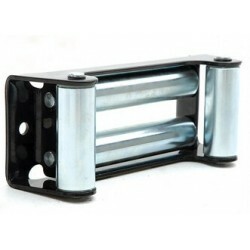 Retainer Pin Black Coated Heavy-Duty black-coated cast steel construction, 7/8" pin for heavy-duty use. 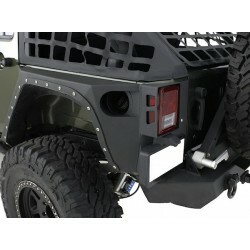 Perfect for use with Smittybilt SRC bumpers. ..
Smittybilt XRC Armor Front Fenders 2007+ Jeep Wrangler JK & Unlimited (2 Door & 4 Door) Smittybilt XRC JK Armor - The new line of XRC JK Front Fenders were specifically engineered to provide the maximum protection and clearance needed when you're pushing your rig through the toughest conditi..
Smittybilt XRC Armor Rear Corner Guards 2007+ Jeep Wrangler JK (2 Door) Smittybilt XRC JK Armor - The new line of XRC JK Rear Corner Guards were specifically engineered to provide the maximum protection and clearance needed when you're pushing your rig through the toughest conditions. Ea..
Smittybilt XRC Armor Rear Corner Guards 2007+ Jeep Wrangler JK Unlimited (4 Door) Smittybilt XRC JK Armor - The new line of XRC JK Rear Corner Guards were specifically engineered to provide the maximum protection and clearance needed when you're pushing your rig through the toughest conditio..
Smittybilt XRC10 10000 lb Winch The revolutionary planetary gear system boasts an 10,000 lb. 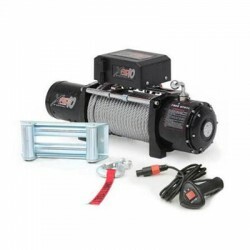 line rating and 218:1 gear ratio[*]5.5 hp, 12-volt, Series Wound Motor[*]23/64 x 94' galvanized aircraft cable with replaceable hook included[*]Intuitive design ensures a simple, hassle-free installati..
Smittybilt XRC8 8000 lb Winch The Smittybilt XRC-8 Winch encompasses all the best features you would want in a winch. Every XRC-8 (8,000 LB.) 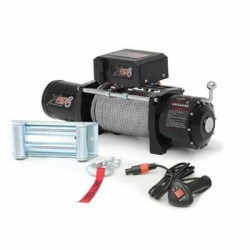 winch features a 5.5HP Series Wound Motor and a Planetary Gear System with 172.8:1 gear ratio that will deliver power and reliability at a premium price..